or the end of physical science. phenomena of superfluidity and superconductivity'. (Penrose Foreword in Abbott et al., 2008). Is it merely the complexity of biology that gives living systems their special qualities and, if so, how does this complexity come about? Or are the special features of strongly quantum-mechanical systems in some way essential? If the latter, then how is the necessary isolation achieved, so that some modes of large-scale quantum coherence can be maintained without their being fatally corrupted by environmental decoherence? Does life in some way make use of the potentiality for vast quantum superpositions, as would be required for serious quantum computation? How important are the quantum aspects of DNA molecules? It is this last of Penrose's questions that most directly acts as a point of access for the model to be outlined here, but some of these other questions have answer indicated along the way. The 'quiet scandal' that Kauffman (2008) speaks of is, of course, actually not so, there being a long history to natural dissent from mainstream thinking and for which quantum theory gave hope of transition from bio-logic to quantum logic, i.e., whereby the physical characterisation of system components offers a more reasonable tractability for our understanding of the organisation and dynamics of these self-organised quantum systems. The physical structuralism that was made 'backwater' by the mainstream focus is bioelectromagnetics and findings here can inspire both the biologist and the physicist alike. 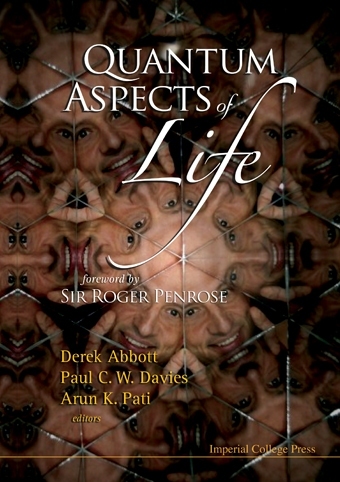 Further, however, the 'high level' approach of Abbott et al., launched without explanation of the 'trivial' quantum working of living systems, automatically allows us to take the hypothesis to the extreme and approach the issue from the point of view of allowing the assumption that living systems may be the purest quantum systems we will ever have the privilege of examining. This proposal is not so outrageous as might at first seem given our state of ignorance and that we have only just begun to explore the possibilities of quantum structures and systems for the purposes of quantum computing. Our 30 or so years of research compare poorly with the 3.8 bn years of natural experiment that life must have undertaken. Neither do we yet know the full extent or limits of quantum systems behaviours and components.